I started out as a Chevy guy, believe it or not. 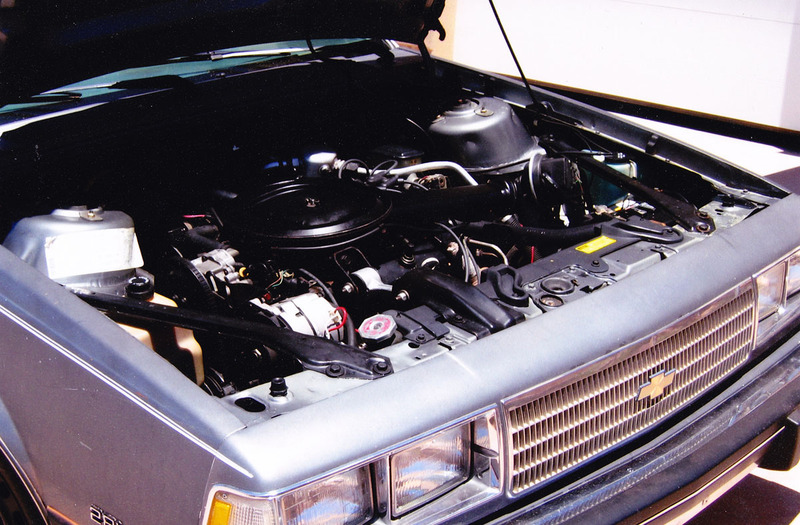 As I’ve shared on the blog before, the only car in my ownership history that wasn’t a Honda or Acura was my first car, a 1986 Chevrolet Celebrity. Equipped with whitewall tires and wire wheel hubcaps, it was the ultimate “grandma ride,” but at age 16 that didn’t matter. It meant freedom. I love this set of commercials announcing the Chevy brand as “Heartbeat of America.” (The Celebrity ad will be right after the one for Kodak batteries). Check out the ad for cordless phones, too. Imagine – being able to talk on the phone from any location in the house! My, we’ve come a long way in the last 25 years. 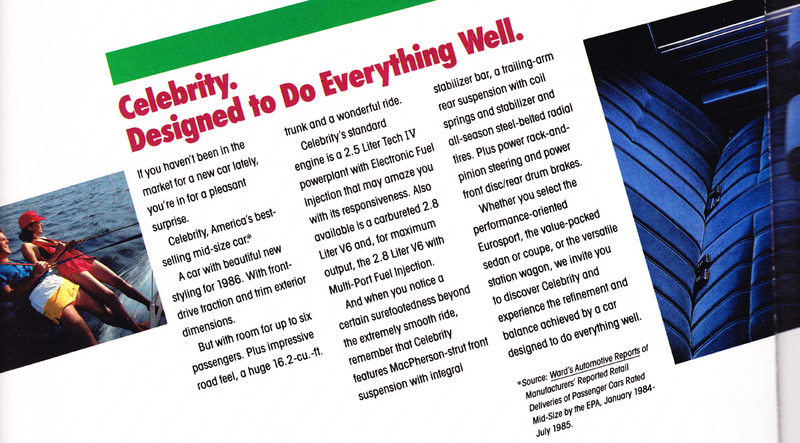 My mom and dad bought the Celebrity new off the showroom floor on April 29, 1986 for $13,969.65. 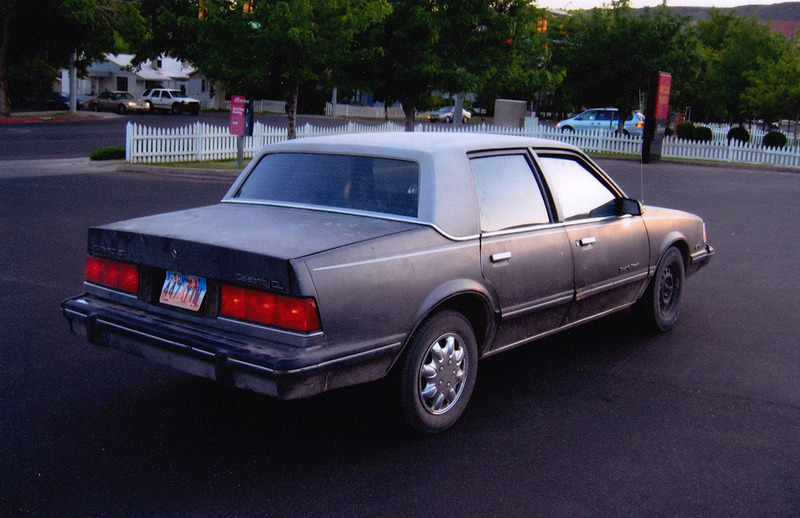 They had traded in this maroon 1982 Chevy Cavalier with 89,000 miles to Axtell Chevrolet in Logan, Utah. Yes, that’s me on a Big Wheel. 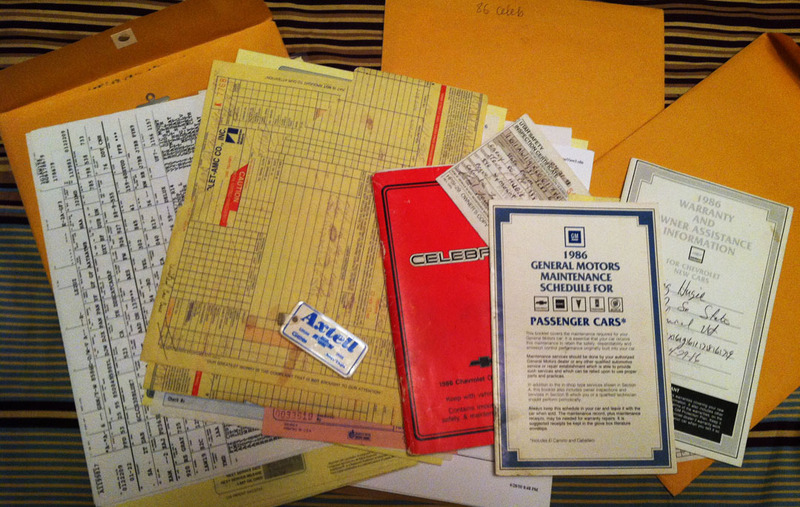 I was fortunate to get ahold of all the original paperwork on the Celebrity – and you all know how big I am on recordkeeping. I even have the factory build sheet from the Oklahoma production facility where the car was manufactured. This is the bill of sale, which lower on the page showed the $2,700 trade-in on the Cavalier. The Celebrity was sold from 1982-1990 but had 3 facelifts during that time. 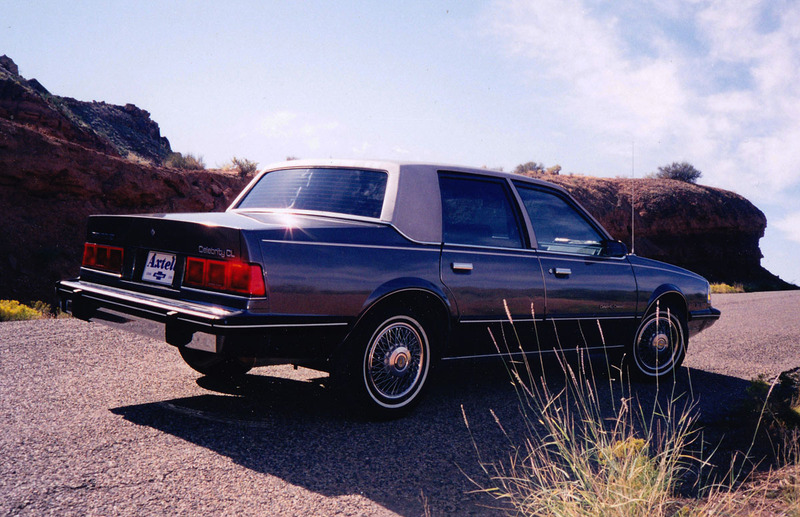 Reportedly, the Celebrity was the best-selling car in the United States in 1986 (it sold a whopping 405,000 units!). This midsize family sedan was powered by a 2.8-liter carbureted V6 pushing out 112 horsepower (my ILX 4-cylinder, by comparison, has 201!). 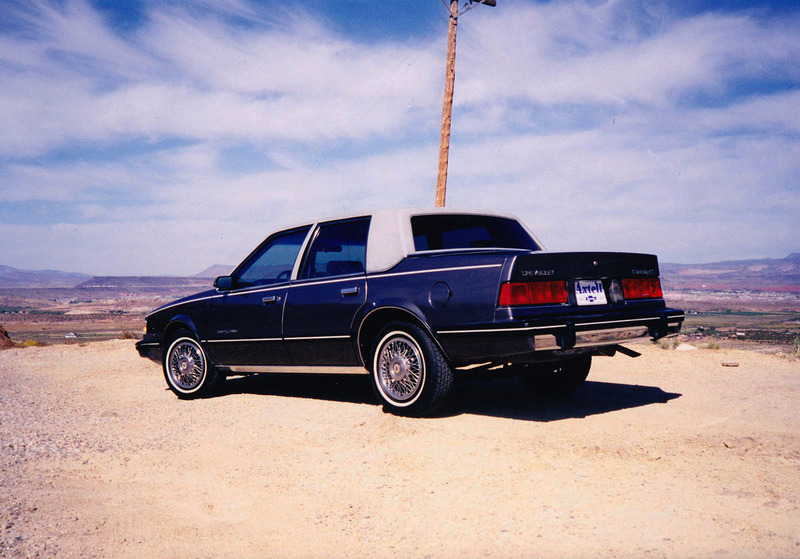 The Celebrity “Classic,” like my parents bought, was the top of the line model, with woodgrain trim, mock convertible top, and plush interior seats. I was 5 years old at the time and I remember how special it was to ride in the Celebrity. 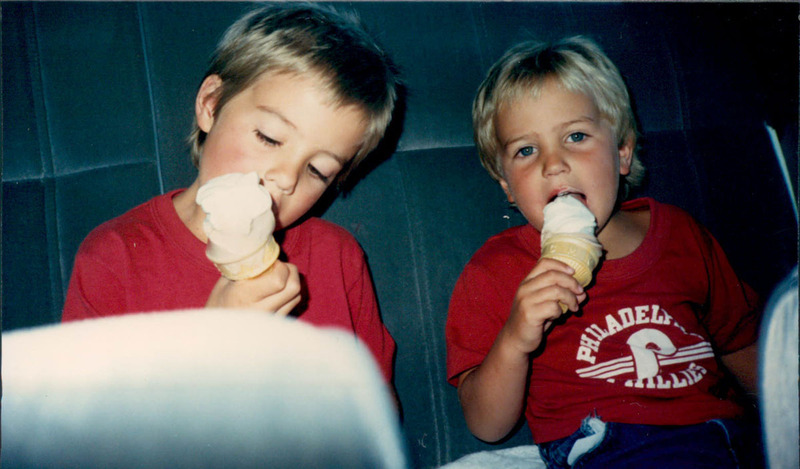 My brother and I always had our “assigned” seats in the back. I sat on the passenger side, and I’d draw a line (figuratively) with my left hand down the middle of the seat. If my brother crossed it, I’d unleash some rage on him. The Chevy logo looks like a bowtie, so it was only fitting that I wore a bowtie for this new-car occasion (I’m pictured at right here). 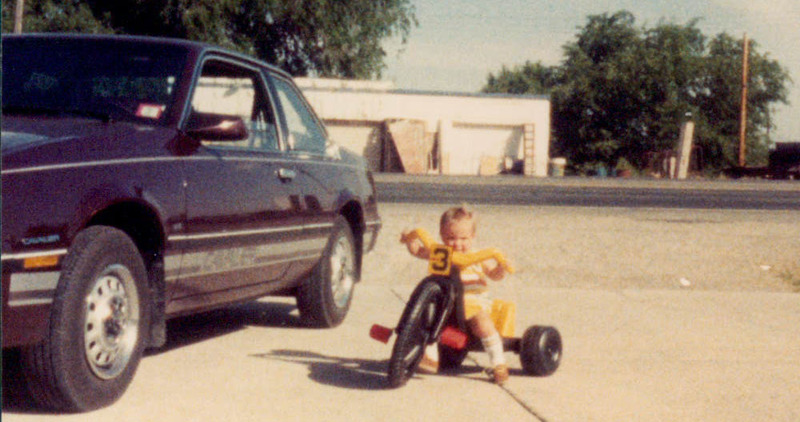 Looks like we’d graduated to bigger Big Wheels, too. I’ve always been on the go. Halloween – again, in my assigned seat. Fast forward to around 1991; my parents sold the Celebrity to my aunt and uncle and bought a 1989 Pontiac Grand Prix coupe 5-speed. The Celebrity went to the east coast for many years. The next time I saw the car was in December 1997 when I turned 16 and the car was given to me at 145,612 miles (though the 5-digit odometer read only 45,612). Key broke off in trunk. Put any key in a little way and it will open. Cold starts: Crank for a few seconds. Let it rest, then crank again. Hope you enjoy it. 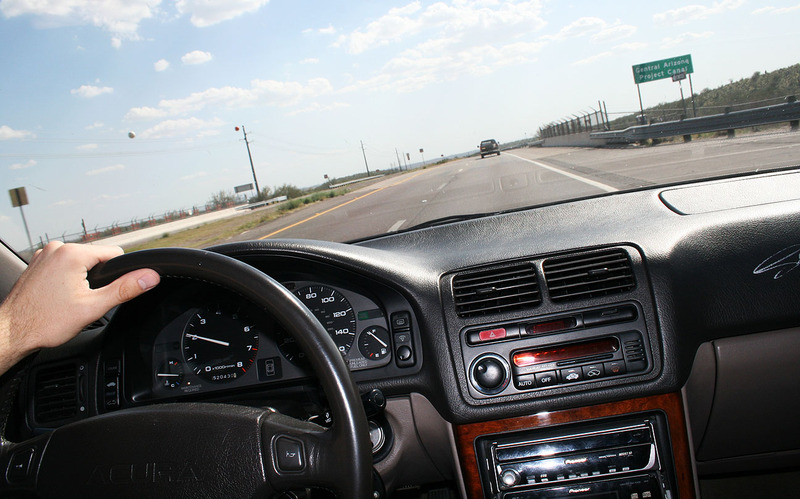 We hope it goes another 100,000 miles for you! The car was cosmetically fairly tired at 11 years old. A $299 Maaco paint job gave new life to the exterior and I took great pride in keeping it clean. The old Celeb got me through my sophomore year of high school in style. I’d blast to lunch at Little Caesar’s with a car-full of friends (it seated 6 comfortably, thanks to dual bench seats). Man, those wire wheel covers were a pain to clean. Tommy Hilfiger shirt, Doc Marten sandles, and white socks: Late 1990’s wardrobe at its finest. I eventually ditched those tires for true-to-original whitewall tires. 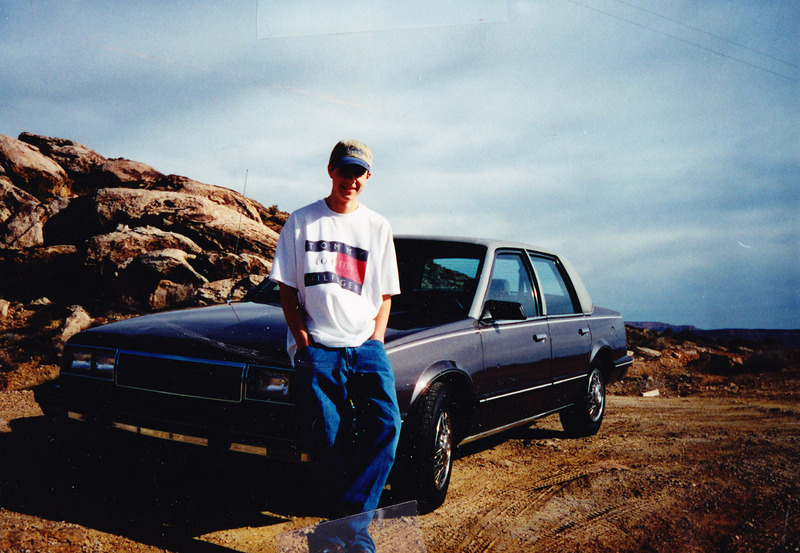 Notice that for this photoshoot, probably in 1998, I even installed an “Axtell Chevrolet” dealer license plate for the occasion. It really did look pretty nice. Soon, though, I longed for something a little more sporty, and at age 17 in January 1999, I sold the Celebrity and bought my first Honda, the 1989 Prelude 2.0 Si. I again lost track of the Celebrity until February 2005 when I randomly encountered the owner and asked him if he wanted to sell it to me. It was ragged. 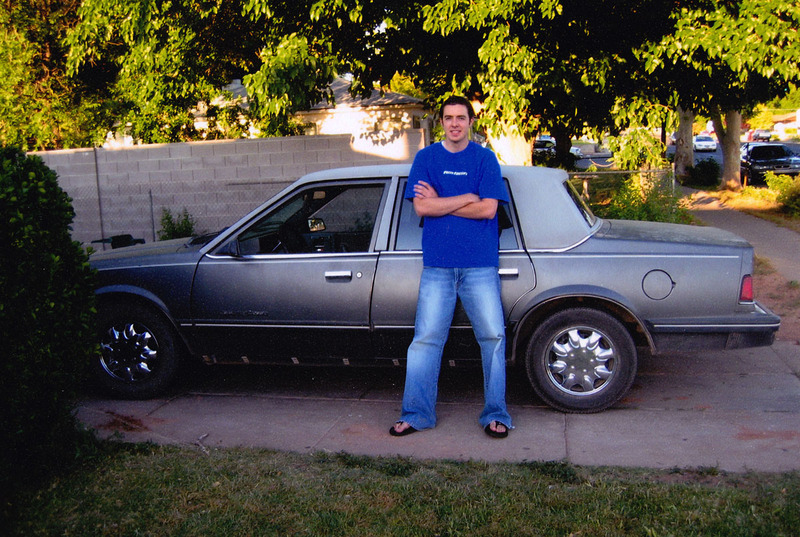 For $300, the car was mine, and I drove home in my beat-up looking old Chevy with a huge smile on my face. I don’t know what I planned on doing with the car, I just wanted it back for sentimental reasons. Oh yes, this thing had seen better days. If I didn’t keep giving it throttle at a stop light, it would die on me. 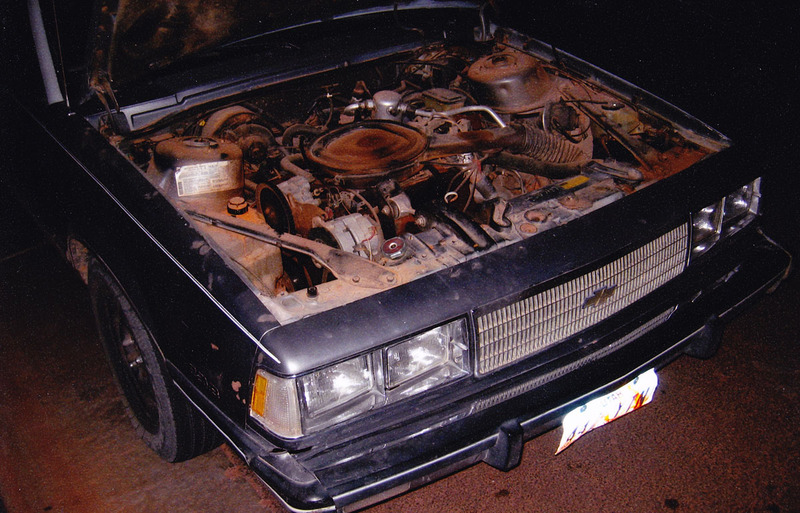 The engine – let’s just say it was a miracle this thing still ran with all that gunk around it. Soon, though, I gave this car a full detail. Hours and hours worth of work were invested to get it looking decent. 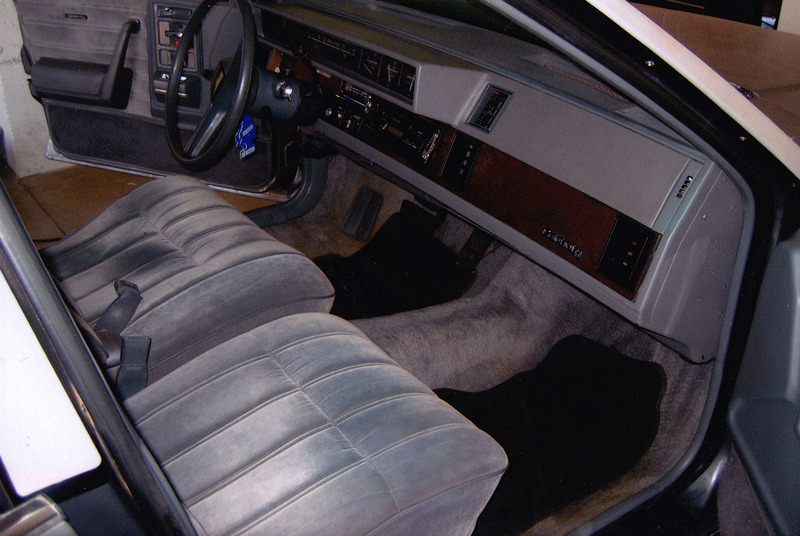 I sure do miss those velour bench seats. Comfortable seating for 3 up front. Random odometer pic at 94,309 — which was actually 194,309. 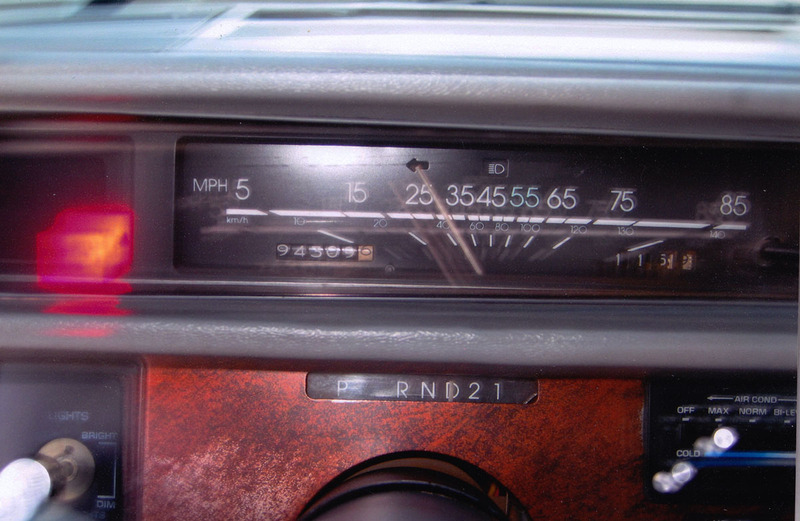 The speedometer on this car maxed out at 85 miles per hour, and the “55” was in an offset blue color since that was the national speed limit at the time. Celebrity, meet Legend, May 2005. The Legend had only around 168,000 miles on it at the time. 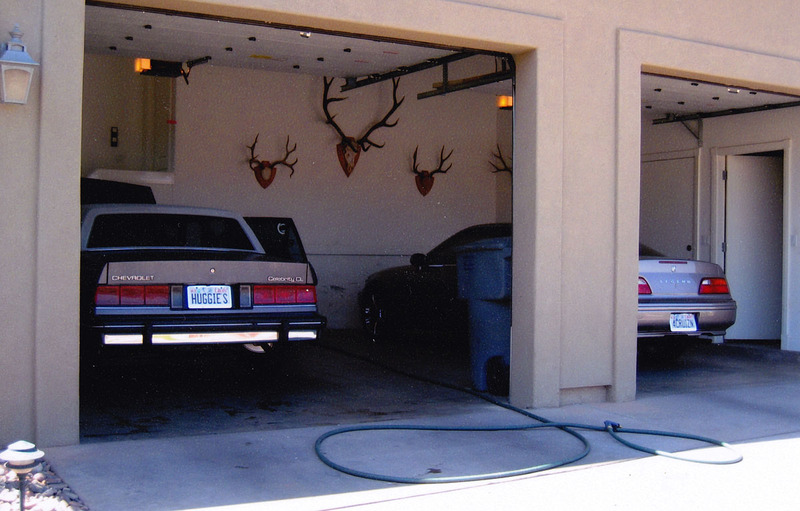 Check out dad’s hunting trophies on the garage wall. Mom wouldn’t let him hang them anywhere else. It was only a little bit later, around June 2005, when parking became an issue and I had to again part ways with the old Celeb. I haven’t seen it since. Here’s a flashback video from March 12th, 2005 during that brief window of time when I owned my first car, for the second time. To this day I’d still love to own another Celebrity. 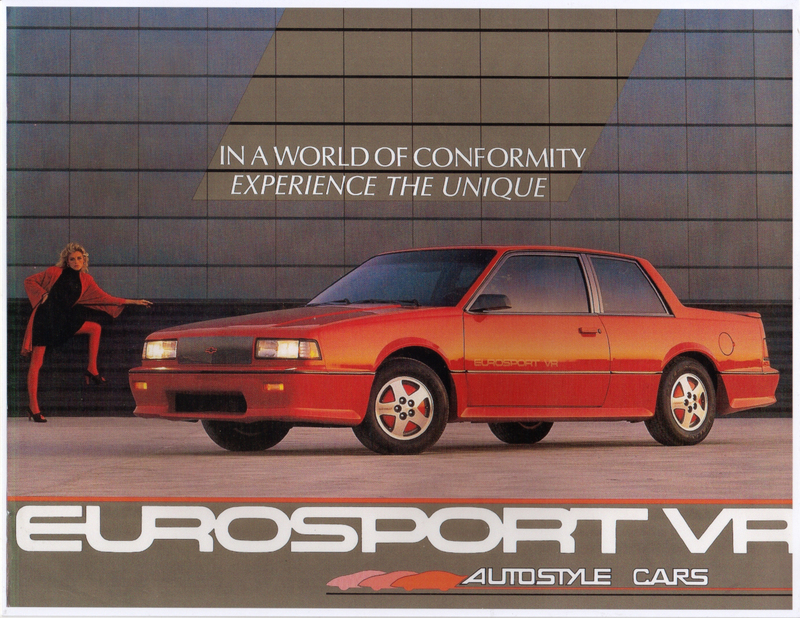 Perhaps the ultra- exclusive 1987-1988 Eurosport VR version with a $4k option package that included a special aero bodykit. Apparently there were only about 1,600 of these made. Hope you enjoyed reading about that old beast of a car as much as I enjoyed digging up memories of it. 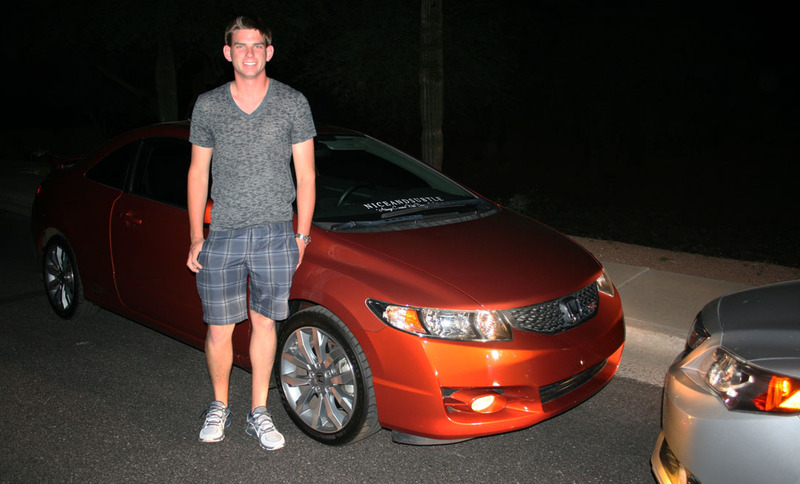 Last night, my friend Travis stopped by in his gorgeous 2009 “Redline Orange Pearl” Civic Si Coupe 6-speed. Travis wanted to check out my cars so we took a couple of test drives. Travis is a long-time Honda owner and enthusiast. His last ride was a 2003 Acura RSX Type-S that was equipped with the full A-Spec body kit. He sold it at around 130,000 miles. His Civic only has around 53,000. I took the Civic for a spin and it has a lot of pick-up. The shift light in the gauge cluster was a fun feature. I noticed that the clutch pedal travel was a lot shorter than in my ILX – it seems like it would be better suited to performance driving. Travis noted that he felt the ILX had a lot more torque than his 2.0 liter, 196 horsepower Civic, especially at the higher end of the power band. 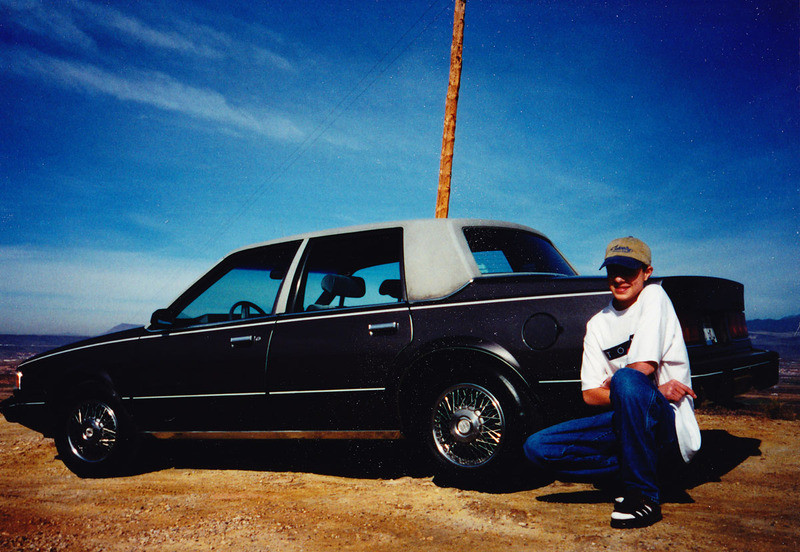 When he and I entered the onramp to the Loop 101 freeway, he got a pronounced chirp out of the tires in 2nd gear. He enjoyed the amenities of the ILX and said that he nearly bought one when it first came out. Thanks Travis for swinging by! For those planning on a road trip this summer, check out this article on Jalopnik about the Ten Best Ways to Prepare for an Epic Roadtrip. 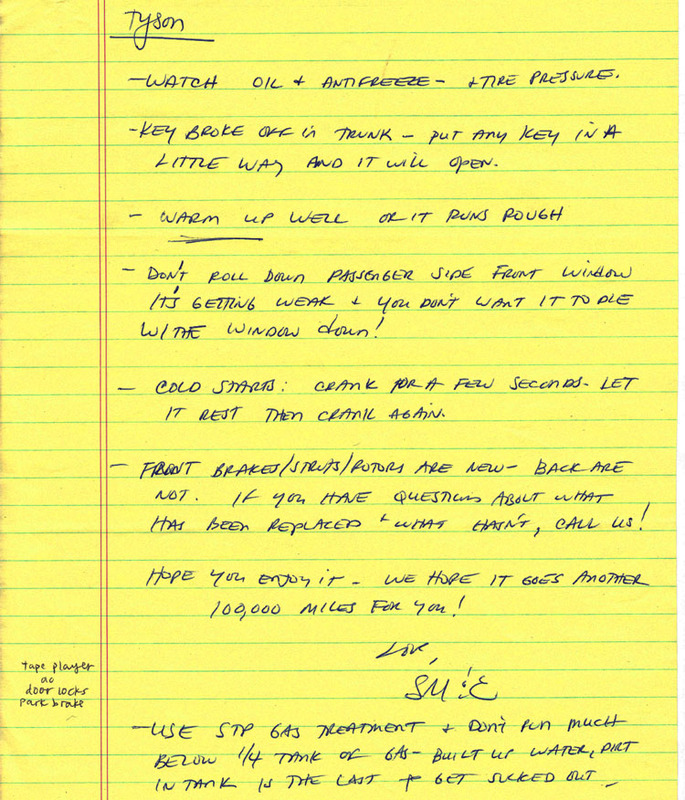 I especially liked the comments about bringing along plenty of music AND a good old fashioned paper map. GPS is awesome, but I love being able to follow my trips on a real map. Until next time, safe travels everyone. This entry was posted on March 22, 2013 at 3:34 pm and is filed under Throwback. You can follow any responses to this entry through the RSS 2.0 feed. You can leave a response, or trackback from your own site. Who doesn’t love velour? Making me miss my family’s old immaculate black 1985 Mercury Grand Marquis coupe with utterly ’80s grey interior with woodgrain accents. Square+roomy is a winning combination! And I spotted some Utahst8 Prelude love in that video! Excellent post, Tyson. Lemme know if you want a co-financier for that Eurosport VR. Tyler, if you’ve got 8 minutes to spare, you’ve gotta check out this ultra-cheesy “training video” about the Celebrity. I found it while I was at work one day and had a nice chuckle. Your family had a Grand Marquis? Well, I bet that was a truly luxurious ride! 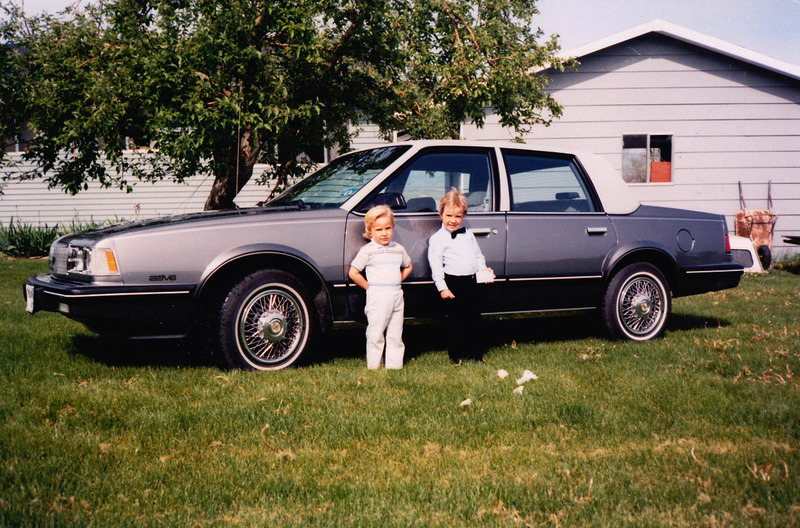 I KNEW you’d notice the old 1991 Si 4WS “UTAHST8” mobile parked in the garage in that video. Sure does make me miss it! The video was shot during a short window of time when I had the Legend, my Celebrity, AND the 1991 4WS. Those were the days. Free is the best. Technically, according to the December 1997 Bill of Sale that my uncle put together, my Celebrity was “sold” to me for $1, haha. It was money well spent. Sounds like you’ve had some nice examples of American Iron in your past as well. I’ll tell you what, that velour interior and comfy ride would give today’s Acuras a run for their money in the comfort department. And who could ever forget the drive up to the cabin in the Celebrity — in the snow? The Mercedes that was stuck in the snow and the driver who said she pushed the tires’ “puff” button in an effort to free her car? That Celebrity was sure and sturdy besides being comfy in those plush seats. I have a hard time believing, however, that you tackled what you discovered under the hood (as evidenced by the above photo). You have always had a knack at resurrecting things. I will never forget the day I drove that brand new car out of the showroom of Axtell Chevrolet (well, at least I was the proud owner awaiting outside the dealership as it was driven off the showroom floor)! It was a true Hugie family wagon of sorts! If a car could tell a story, I’d like to hear about the travels of this particular one! Yes, of course I remember that trip to the cabin! It was a trip down memory lane to go through some of my pictures and documentation on that car. 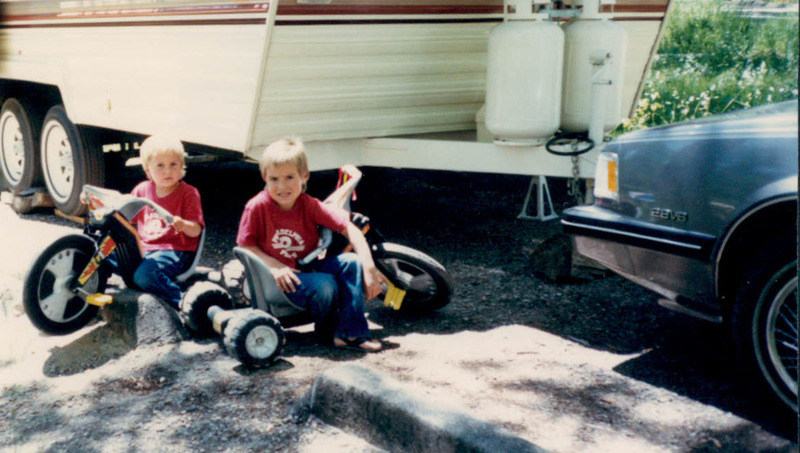 As we’ve said before, life was a lot more simple in 1986, nearly 30 years ago already. 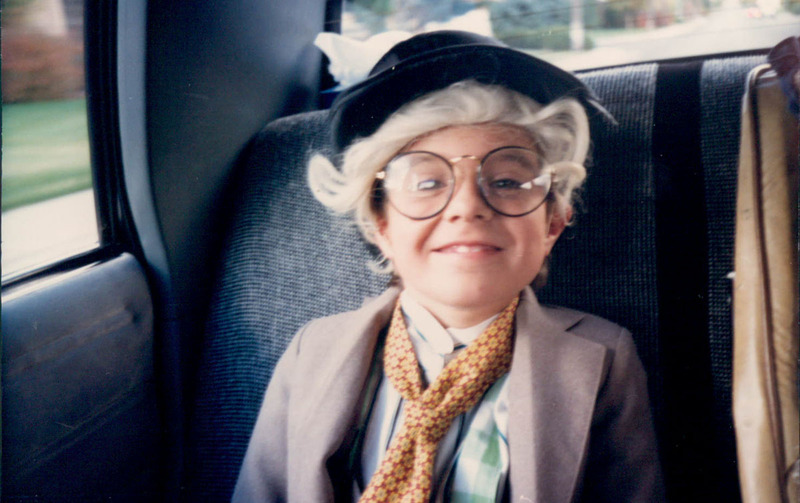 Back in the day when I could walk next door to Ross’ shed and buy Red Vines licorice. Or sell rocks from a wheelbarrow along State Street. Or spend all day riding around on an old inner tube on snow-covered hills. You get the idea! “I’d unleash some rage” LOL I don’t I’ve ever seen you even a bit upset Tyson. But then again family members really know how to push buttons.